Microsoft acquired NCompass Labs and I moved down to the Seattle area. not that many Microsoft support people actually live in Seattle because the support group is located at the new Issaquah campus. the Redmond campus is reserved for the development groups. I'd say that this segregation was another hardship, except that it wasn't; it makes sense. the main campus simply isn't big enough for everyone. for example, the games division and the MSN group also have their own sites. however, I will point out that of all the campuses the support campus is the only one that is primarily filled with cubicles. pretty much every other department uses offices as the default work environment. when I joined Microsoft, I was working in the developer support division. I knew that I would soon come back to CCanada and marry my girlfriend, so I treated it as a temporary situation. for the first couple of years, I worked long hours and did anything I could to improve my skills. I enjoyed helping people with their issues but I knew that I would eventually leave support. I was thinking about improving my resume for when I came returned to Canada. this is the "I'm part of the problem" section of the tale. even though I enjoyed working in support, I left the team when I was offered a job in Redmond. with people constantly leaving, it's no wonder that the industry doesn't feel that support folks have garnered much appreciation. the move to the MCMS development group was a direct result of my moonlighting as a sample app developer. the product group wanted to encourage the adoption of MCMS, so they decided to start a new program. prospective customers went to Redmond and actually tried out their web sites on the MCMS platform. this mix of support and web development was the recipe for my invitation to the main Microsoft campus. when I was preparing to move from a cubicle to an office, my support manager called me in for a heart to heart. he told me that most people who go to Redmond didn't go back to support. I thought that the gig would be short-term so I told him that I wasn't putting much thought into leaving. the long hours continued after I joined the product group. I would routinely work 80 hour weeks and there were periods when I broke 100 hours. I don't recommend this as a long-term plan, it's just not healthy. however, in the short term, working long hours can pay off. maybe this is too facile to write, but burning the midnight oil is an obvious way to impress upon people that you're willing to go the extra mile -- that you're the sort of person they need. for example, the most prominent mcms site that we had running was www.xbox.com. although it was a Microsoft web site, the deal had been closed prior to the NCompass acquisition. we felt comfortable using the site as one of our main showcases. working on http://www.xbox.com/ was an amazing experience. the schedule was tight - all Microsoft schedules are tight - so we were working all hours of the day. when it came time to actually setup the production web servers, a small group of us drove out to a data farm in the Seattle suburb of Tukwilla. the location, which was also used for sites such as Hotmail and MSN, was about half an hour away from the main campus. we worked through many nights in the data centre until the site was ready to go live. every once in a while we would make a challenging attempt to find something to eat -- not that much is open around 4 am. there were some bumps along the way, but the experience of working on that site was one of my most enjoyable memories of Microsoft. the Xbox was coming into its own and we were there to help out in our own small way. a while back, there was some talk of ms abandoning the onboard storage within the Xbox. this storage capability is presently in the form of a hard drive. however, the new rumour is that Microsoft will offer three different versions of the Xbox. at least two of these rumoured versions feature flash memory storage capacity. the question is: how much room could there be on these flash cards? if they're reasonably sized, it's great news for the gaming industry. why is onboard storage important? the other game consoles don't have drives, why keep them around? the answer to these sorts of questions is simple; keeping the onboard storage will advance the evolution of the gaming industry. a system with more storage capacity plainly offers more development options. until the Xbox came along, the console developers were hamstrung by the lack of a hard drive and the PC developers were frustrated by the vast spectrum of possible PC system configurations. the situation hasn't changed for the unfortunate PC programmers, but it is much better for Xbox devs. some people argue that few games actually use the hard drive -- so why bother having it around? sadly this is true. no Xbox game has done for hard drive what Myst did for the CD-ROM game. however, this still isn't a strong argument; it implies that the hardware makers should cater to game producers who are too lazy to take full advantage of the console. Ok, maybe "lazy" is too strong -- but it does get across the idea that they're catering to the lowest denominator. if the game companies feel that they don't have the resources to expand games to the point where they are maxing out the platform, that's fine. however, they shouldn't restrain the ones that are willing to go the extra mile and innovate using the full potential of the hardware. this May I'll be going down to L.A. to cover the E3 conference for the O'Reilly Network. since all three of the next generation consoles are supposed to be announced, this could be a great year to be at the show. when I joined NCompass, the .com economy was at it's peak. it was the time when great things could happen for a technology company. but it was clear to some people that the glory days wouldn't last forever. one NCompass manager told me at a company hockey game that "being an internet-focused company right now is like being in a gold rush -- everyone is trying to get their before the gold runs out." it was this sort of thinking that led the NCompass board to tell its executives to spend like "drunken sailors". I started at NCompass labs as a trainer. this was a good example of getting my foot in the door so that I could work towards other things. I wanted to do something more technical, but it was a way to get some experience at a software company. I believe that getting your foot in the door is the key to making big strides. by working along side the right people, I was able to form relationships that lasted for years. some people call it networking but that almost implies that it's some form of deception. genuine relationships are far more valuable. that position didn't work out -- I simply wasn't a good fit for what they were after. my manager and I simultaneously came up with the idea that I should move to the support department. most people would view this as a demotion -- yet another example of the support department not getting enough credit for the crucial role that it plays. when I moved to support, there were about a half dozen support reps. although, one was soon fired for using company time and resources to run his own support business. after he was canned, he tried to get a product key for Resolution; he actually called the help desk and pretended to be a customer. the support rep recognized his voice and told him that we would have to check his credentials. when we contacted the customer, they confirmed that the caller had used a fictitious name. the most challenging aspect of supporting Resolution was that NCompass didn't track how many cases each customer logged. believe it or not, we were also responsible for free pre-sales support. during this period, there were about 350 open cases and six people to handle them. in contrast, Microsoft tries to keep their case allocation to less than 20 per support rep. hiring was extremely difficult during the bubble, but NCompass did eventually increase the support staff to around a dozen people. the days when one person had 100 cases (which actually happened) were over. I enjoyed the experience of working on something that was innovative. at the time, it was unusual for anyone to use a database on their front-end web servers. Resolution was meant to run in this fashion -- although there was a 'staging' option for those who weren't ready for the leap into dynamically rendered data or online web-based authoring. Resolution also had a top quality Application Programming Interface (API). the API was my favourite feature and I enjoyed playing around with it. in fact, I saw the API as the perfect way for me to hone my technical skills. I tried many times to get sample applications added as part of my job responsibilities. one of my managers hated the idea -- the company need to keep people in the support department and he probably saw my interest as an attempt to get out. eventually we made a deal that I could volunteer my time as long as it didn't interfere with my actual job. the irony is that there was a need for such applications. at one point, the company ran a contest for the best sample app. the prize was an old foosball table that had just been supplanted by a proper tornado brand foos table. I won the table with a dynamic image gallery app. although, for posterity, I feel that I must note that I was the only one who finished on time. I was having a good time working on sample apps, and NCompass was a fantastic environment. I was truly fortunate to be part of such a great company, but I still had to deal with the tribulations of being part of the support department. I was working in support despite the overshadowing knowledge that those of us on the front line would not get all that much respect from the industry. this is something that most support people just deal with. there were times at NCompass when I received a great deal of recognition. however, these were almost always related to some work that was outside of my job description. people who worked hard within their defined support role were generally below the radar. after NCompass had been absorbed into Microsoft, I heard a story that amazed me. one team in the company was told that they could go on a rabid spending spree weekend. they actually spent more money than I made in a year. the party was a celebration for meeting an annual goal. did free pre-sales support play a role in meeting that goal? I've written about a pervasive lack of respect so I had better cite some examples. working at NCompass I was once asked to take over a case with an angry caller. the original support rep was so offended that he could not deal with the person in a rational manner. he later said that he felt like he was treated like a dog. you assumed that I was talking about a customer didn't you? no, it was an NCompass employee who had called. fortunately, that guy didn't last long. but it just goes to show that even within the company fold, support was considered a lower caste. what role does support play? at NCompass I figured that the experiences of being on the front line were not systemic. surely at Microsoft things would be different... but would they? I'll get to that, but I want to first address the obvious counter argument that is bubbling up in the minds of some of the readers out there. it goes like this: support is paid less and given fewer perks because the people in support aren't as skilled as those in groups such as development group or consulting. after all, software companies make software. the people in support don't make software. first of all, the astute will see that there's already a crack developing in this logic. a company is comprised of many different parts. in order for the company to be successful, all of these parts must be functional. the argument about developers being the only contributors to a software product is ridiculous. without the sales team, how would the company make any money? without the support team, who would put out the fire when a company's web site goes down? and what about the first part? the idea that only developers have skills. have you heard of a software product that didn't have bugs? no, me neither. the reason for this is that devs make mistakes. more often than not, the support group takes the flack for those mistakes. yes, it's true that management sometimes encourages errors with unrealistic timelines, but no one is perfect. people need to remember that the support department is created by the developers' mistakes. saying that support staff aren't skilled is a gross generalization. for the purposes of this post, 'support' is primarily used to refer to problems that arise from actual product bugs. I am most certainly not referring to cases where the customer has created the problem through their inability to use the software. I'm not talking about supporting people who are having issues while writing their grocery list in word. at microsoft there is a group in support called SIE. I think it stands for something like 'solutions integration engineering.' if you saw the cases that those folks handled, you would have a different impression of the skills of the support team. they are given cases which involve the interaction of countless technologies and network configurations. resolving cases that complex is an ability completely outside the scope of most developer's experience. in other words, complex debugging requires smart people with considerable training. while I was waiting in line to buy Halo 2, this guy went through the line handing out his business card. he was advertising Xbox modding services. I've always been intrigued by modded Xboxs, and didn't want to risk breaking mine, so I contacted him. I told him that I was working on the battle guide and that I might be able to give him credit in the book if I happened to mention modded Xboxs. for those of you who aren't familiar with modding an Xbox, the process involves adding a chip to the motherboard. by doing this, you can gain access to the hard drive and even change the operating system. some very cool apps have been created by modded Xboxs. for example, the Xbox Media Center (XBMC) application functions much like the Microsoft Media Center Edition (without the PVR capability). there is nothing illegal about the actual modding - although it does void the warranty and usually prevents the box from being connected to Xbox Live. you can even buy premodded Xboxs online at sites such as xbox-modchips.com. however, there are some illegal applications available for modded Xboxs. these are apps that have been produced using the Xbox dev kit but haven't been sanctioned by Bungie. the modders don't distribute these applications. eventually, I heard back from the modding guy and he said that he would be interested I asked him to contact me so that we could set up a time to meet. he immediately responded saying that he would not provide any software. I wrote back again explaining that this was fine and asked him again to contact me or give me his contact info. looking over this blog, a friend of mine (a former microsoft dev) suggested that a good topic would be my transition from tech support to writer. he feels that blogs should either dish out dirt or be inspirational. I'm not sure which angle he intended for this tale -- I'll use both. this is a story about the software industry and how the field of tech support is plagued with both an undeserved negative stigma and a disconnected lack of respect. oh, and also... why I'm part of the problem. Update: After joining Metalogix Software in 2007, I happily went back to helping people by working in the support department, so I'll have to create another entry in this series called ''and back again." I started my career in technology working at the university of british columbia (UBC) help desk. the year was 1995 and i was a student in the faculty of arts. like so many others, i didn't know what I wanted to do when I entered university. I enjoyed reading classic literature and writing, but I didn't feel that writing was a realistic career path. after my first year, I took some time off to go traveling. eventually, I figured out that technology is my passion. the combination of technology and my arts degree turned out to be ideal -- but I'm getting ahead of myself. in the mid-90s, the main focus of the help desk was modems. nowadays, we can fondly remember the high-pitched screech of a model handshake, but at the time, it was the bane of the support rep. I took the job because I wanted to gain some official experience - any official experience - in the 'computer industry.' at the time, most of my experience in the technology realm was creating Doom levels. just like writing, I didn't think that working on video games was a realistic career path -- I was wrong about both. I think I was making $10/hr when i started; this was less than what I was making as a lifeguard, so I certainly wasn't doing it for the money. the experience of being in arts and working at the help desk taught me an important lesson. you can easily find ways to gain experience in the field of your interest -- even if you are working or studying in a different field. while working on my arts degree, I found myself spending most of my time on my computer. I put more hours into making game levels, learning web development and FreeBSD then I did on my course work. sure, it hurt my grades, but it was my projected-based hobbies that helped me get the jobs I wanted -- this lesson served me well through the years. while working at the help desk, I discovered something interesting about myself; I am one of those rare people who actually enjoys tech support. I found the problem solving aspect cool and resolutions often came with immediate expressions of gratitude -- something that appealed to my nature as a Leo. however, even in a job that I knew was temporary, there was an obvious stigma associated with support. customers of the university ISP service would routinely mistreat the very support staff who were trying to help them through their issues. e-mails arrived with comments such as: "you're a bunch of morons who are probably still popping pimples!" it was enough to make one question their future at the help desk. for all those people out there who have never worked in support, let me just say that it's a tough job. you have to be technically savvy and also have good soft skills. being on the front line is especially tough. phone support is the worst; it is direct enough to be insulting but lacks the interaction of a drop-in. in short, having an angry person on the phone was the worst case scenario. people on the phone expected results immediately and they were often emboldened by anonymity. at least if the person came to talk to you, they would have to have some courage to start yelling about their misbehaving 486. I worked at the help desk for a few years and I had some good times there. for example, we had one guy call in and repeatedly ask to speak to "rundell" -- we didn't have anyone working at the desk by that name. it turned out that a support rep had told this guy that he was experiencing a "run.dll" error. since I thought that I had finally figured out what I wanted to do, I started taking some comp. sci. courses. but even those classes didn't satisfy my desire to work with 'real-world' technology. to illustrate my relationship with academia, I'd like to point out that in a comp. sci. lab I once lost a mark for using two staples instead of one. no, it wouldn't be good for me to stay in that environment. I decided to finish the degree that I had started and in 1998 I received a B.A. in English Literature (sadly, we didn't study capitalization :). during my last year atUBC, a fellow arts student helped me get a job working as a technology consultant. when I first started, it was a division of SHL Systemhouse, but the group was soon purchased by General Physics (GP). while working for GP, I worked on a number of training projects but I was always looking for a way to do something more technical. thinking that I needed experience outside of my job description, I put in a proposal for a Linux training program. the project never got off the ground, but the timing turned out to be perfect. GP needed someone to develop a Unix module for an Oracle DBA course. since they knew I was interested, they asked me to do it. I decided to leave GP for a number of reasons. after creating the Unix module, I was certain that I wanted to do something more technical than training. it was the height of the .com bubble and I wanted to work with emerging technology. although this was my main motivation, there were also some issues at the company. our paycheques were mysteriously arriving late. the company had a number of excuses. one time, they claimed that they were accidentally being sent to japan. however, an anonymous poster on an investment website alleged that the cheques were being held to artificially inflate the coffers of the division (I don't believe that the parent company was implicated). this was allegedly all part of some management stock buy-back plan. whatever the reason, I already had enough motivation to head for the door. I left GP and took time off to do some more traveling -- time off is something that I highly recommend. when I returned, I started looking for a job at a software company. as I mentioned, this was the glory days of the .com fiasco. I can remember telling my brother that i didn't care if the company I chose went under in a year. after all, that would be a year of experience on my resume. surprisingly, for the late 90s, I managed to find one of the rare companies that was actually producing worthwhile software. the company was Ncompass Labs and they were in the process of shifting their focus. the technology now known as ActiveX was originally developed at NCompass and for years the main revenue for the operation came from an ActiveX plug-in for the Netscape browser. however, when I joined, they were already well along the road of content management. at the time, they were working on a ground breaking content management platform called Resolution. after Microsoft acquired NCompass, they re-branded Resolution as Microsoft Content Management Server. I will begin work on this title as soon as I finish work on the manuscript for Halo 2 Hacks (O'Reilly). 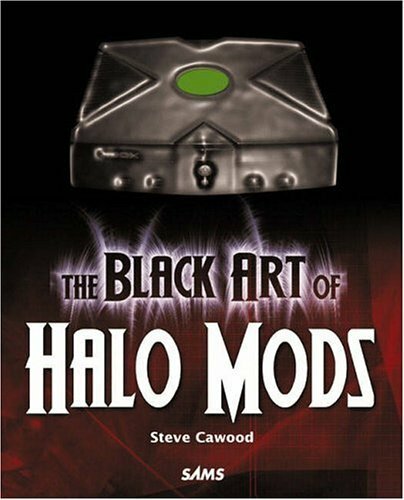 if you're a modding fan, pick up a copy of The Black Art of Xbox Mods by Jonathan S. Harbour. this is an example of the quality work that they're doing at Sams. update: Nick has posted a little bit on information on the HaloDev site about the chapter introducing Prometheus. 2003 - a good buddy brought a Robotron 2084 machine to our Microsoft office. this is just the sort of game I enjoy - trying to survive the chaos of stuff swarming all around. 2002 - halo 1 which brought me back into the fold. before Halo, I hadn't played much of any game since command and conquer. 1997 - created quake 2 maps of my university dorm. 1996 - played copious amounts of command and conquer. 1995 - played a lot less and turned my attention to creating doom wads. 1994 - played far too much doom. 1986 - went back to the arcade for some 1941 action. I loved having dozens of objects on the screen at the same time. 1985 - enjoyed the hitchhiker's guide to the galaxy text based game. 1984 - received my first console as a christmas present, it was a colecovision. got hooked on dragon's lair. 1983 - played lots of rescue raiders on my buddy's Apple IIe. 1982 - enjoyed insane amounts of armor attack and cosmic avenger at the arcade in the mall. armor attack was the best price to gaming ratio of any arcade game. on one quarter, it was possible to play for hours. 1980 - typed various games into the 1kb memory of a Timex Sinclair 1000.
don't have your copy of the battle guide yet? 1. one of the zanzibar maps is missing an important weapon. there should be a sniper rifle shown at the "camp froman" location - if you're standing on the sea wall looking at the giant wheel, camp froman is the low platform on the left side of the map. it is marked with a sign. (page 178, zanzibar ground level map). 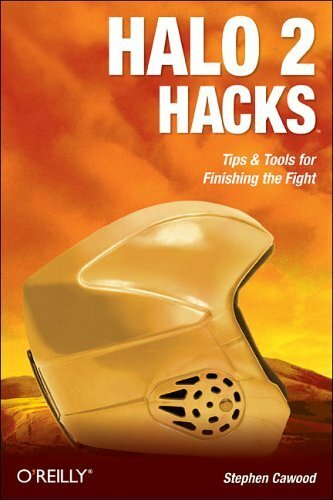 2. on page 54, there is a "practice tip" that includes this sentence "For example, use 400% health and no shields." this made sense for halo 1, but in the halo 2 options, there is a change in the terminology. instead of "400%" it should read "Damage Resistance". however, I find that the best way to play this variant is to simply turn off shields and give everyone Magnums. this is also cool because of the 'John Woo' style action. even at close range, the Magnums will take down someone with six body shots - but only one headshot. for extra variety, you can include Battle Rifles or Covenant Carbines. 3. on page 144, there is a map of Headlong. the Overshield on the right should actually be an Active Camouflage. 4. on page 152, there is a map of the top level of Ivory Tower. instead of a Beam Rifle, there should be a Sniper Rifle in this diagram. 5. the map of Ascension on page 116 should show Plasma Grenades at the base of the lower sniper perch. 6. both Coagulation powerups (shown on page 132) alternate between Active Camouflage and Overshield. I'd like to keep a running list of my favourite technology-related books . these aren't 'manuals', they are books about some aspect of technology. the titles are numbered to roughly match how much I enjoyed the read. for the book to make the "worth the time" list, I don't have to agree with the author. I simply have to respect the title in some way. for example, I'm not an advocate of objectivism, but I appreciate the writing style of Ayn Rand. of course, Rand isn't technical enough for this list - I'll have to think about writing a favourite fiction post. if your curious about the fundamental electronics that enable software, then this is a great book for you to read. I may not agree with kurzveil's neatly rose-coloured opinion of technology, but this is an interesting read. besides, the Canadian band our lady peace named one of their albums after this book. you may be wondering what I mean by "rose-coloured". kurzveil talks about technology as if it is the great panacea. personally, I have trouble believing that technology such as designer cybernetic implants will be developed without notable negative consequences. look at what happened with silicon breast implants. this is a great read. it's an exploration of interview techniques that have become popular at software companies. if you're looking for a job, you should definitely read this title. also, it contains a number of cool logic puzzles. this book is excellent; it features solid content presented within quality writing. essentially this title is a great example of what books such as Opening the Xbox attempt to accomplish. this one barely qualifies for the list since it really isn't about technology. however, it is written by a Canadian writer and it starts off with the protagonist working for Microsoft. this book is interesting because it diffuses the romanticism that surrounds hackers. before I read Cyberpunk, I assumed that all the high profile hackers are gifted developers. this book presents evidence that time can be more important than skill. some people feel that Asimov's style doesn't meet a high enough bar for him to be known as a great writer. I'm not much concerned with that reputation. I liked this book and I will read more Asimov in the future. it's true that I, Robot doesn't offer anything as intricate as the Byzantine tapestry of Dune. I suspect that I would have appreciated the book even more at a younger age. however, the ideas within I, Robot are far ahead of their time - if you search the net, you'll find that robot psychology is only just emerging as a respected field of research. BTW - since the recent movie is only loosely based on the ideas of the book, it's a big stretch for the publisher to release an edition of this book with Will Smith on the cover. if you want to read a book written by a bitter ex-microsoftie, then check this one out. this one comes with a qualifier: although it's not really worth reading the whole book, the concepts are important enough that I put it in the positive category. In other words, the book is an important work, but it was written in the style of a business report. the supporting evidence is dry so don't feel that you have to trudge through all of it. my current project is a halo book for o'reilly and associates. the book will be called Halo 2 Hacks. i'm excited to be working with such a highly respected publishing house. of course, i'm also psyched to be working on another halo project. Halo 2.5 and Xbox 2? could this story be accurate? will halo 2.5 ship with xbox 2 this christmas? if halo 2.5 ships with Xbox 2 it will be fantastic for all Halo fans. i'll be keeping my fingers crossed. I've always been disappointed that the online co-op mode was cut late in the dev cycle. this option would allow two people to play the Halo 2 campaign together over Xbox Live. the battle guide is my latest book. it was my first project working with the StudioB agency. all of us involved have been thrilled with the response to this title. one day, I looked to see how the book was doing and I was shocked to see that it had an Amazon sales ranking of #303 in books. I feel that the book's showing was obviously a result of the stunning success of Halo and my collaboration with crew116 and MrJukes. while it's true that I was a Halo 2 beta tester before I left Microsoft, I'm not in the same league as some of the people who helped out with the book. they have been playing together since the release of Halo 1 and they are the best at Microsoft - they truly are world class. the book was really born of frustration. after getting owned for awhile during the beta, I tried to find good sources of halo strategy info. I was surprised to discover that there weren't any comprehensive resources that I could use to improve my game. after I left MS, I figured that a fun project would be to try and fill the gaps. I decided to focus on the most obviously deficient topic - the multiplayer game. the battle guide quickly covers basic combat techniques/strategy and then dives head first into the stuff that most players want to read: practical advice about how to improve their performance. after basic combat, the book covers topics such as advanced combat, single player strategy, and team strategy. the team section was particularly important so I used a number of references for that chapter. these references include the combat leader's field guide, warfighting and the art of war. rather than suggest that readers buy these books, I figured I'd save them the trouble of finding the relevant info. and simply include them in the battle guide. at the end of the battle guide schedule, I had to put in some crazy hours. obviously the publisher wanted the book complete as soon as possible. to make the Christmas deadline, I agreed to shoot all of the hundreds of screenshots in just four days. I ended up working one stretch that was over 36 hours, but after working at Microsoft that didn't phase me at all. during the shooting time, I had people coming over to my apartment to act as the "battle guide players". I just hope that my friends didn't get too annoyed with me as I asked them to maneuver multiple Halo characters. in the end, a free book didn't seem like enough of a reward for those who helped. although the schedule for this title was incredibly aggressive, I enjoyed the process and the project led to a number of other opportunities. I'm not sure how long I'll be writing about Halo, but I know that I'll be doing at least another couple of titles (see: new project - Halo book for oreilly and next project - Halo book for SAMS). 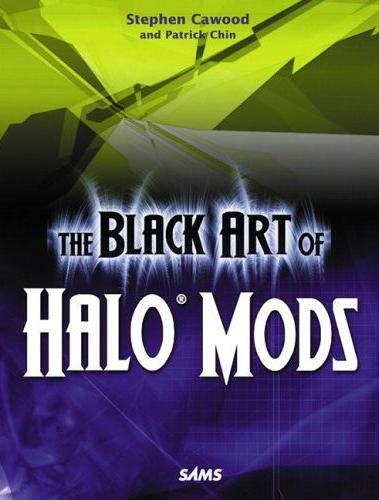 Note: although it's true that I was a Beta tester for Halo 2, I began work on this book after I had left Microsoft. by that time, the Beta was long over. therefore, I did not have access to an un-released version of the game while I wrote the book. in addition, while at Microsoft I did not work for the games division. when I met with Crew 116, we played Halo 1 and talked about general strategy -- if you were hoping to read an insider's view, this isn't the book for you. the battle guide is 100% publicly accessible material. people often ask what it was like to work for microsoft; here are some of my impressions. before I started at ms, I was basically platform agnostic. I still feel the same way -- except for my halo-fueled affection for the Xbox. although I am a stockholder, I'll try to be as objective as possible on this blog; I don't have to worry about getting fired (like that unfortunate ex-google employee). 5. "the microsoft way" - a euphemism for "do it my way"
2. there is talk about 'work-life balance' but it doesn't actually happen for most people. in my first 18 months at MS, I gained 18 pounds. this was from a combination of long hours, little exercise and cafeteria food. I feel fortunate to have had the opportunity to work at MS and I still keep in touch with a number of my friends there (read: we kick each other around on Xbox live). 7. the tv show urban rush recently showed some footage of MS ceo steve ballmer pumping up the crowd at a conference (a.k.a. dance monkey boy). ballmer is not just super-hyped when he's on stage; he's always like that! of course, he's not jumping up and down all the time but he has an endless supply of energy. 6. MS interviews are as crazy as people say they are. I was lucky -- I only had to do four. many people have to go through eight or nine. although this practice is now frowned upon, I was asked brain teaser style questions during one of the interviews. 5. I had many positive experiences with the execs at MS. on one occasion, I was on my way to a large conference. a senior VP was on the same flight and he offered me a ride to the venue. unfortunately, the airline had misplaced his bag. I was disillusioned to discover that even if you become a senior VP, you can still have issues with baggage. 4. the hiring process at MS is whacked. this has been documented in How Would You Move Mount Fuji? : Microsoft's Cult of the Puzzle -- How the World's Smartest Companies Select the Most Creative Thinkers by William Poundstone. issues include the practice of sending out feedback e-mail as soon as the first interview is over -- by the time the candidate meets the second interviewer, the interviewer could already have the feedback on his screen. just to give you an example, the MCMS team once interviewed a person who literally was the most qualified person in the world for the job. they didn't hire him. so for all you people out there who have been through ms interview loops, don't take it personally! 3. it is common at ms for different groups to work on similar technology. this practice encourages a sort of 'survival of the fittest' approach. a Microsoftie once said to me "the MS way is to give a few people knives and see who is left standing." the internal competition surrounding the Xbox is documented in Opening the Xbox : Inside Microsoft's Plan to Unleash an Entertainment Revolution by Dean Takahashi. 2. the rumours you hear about iPods, Macs or Palm PDAs being banned are pretty much all untrue. many people use devices from competitors. 1. when I first joined MS, I was blown away by the scale of the company. until last year, there was an annual company meeting that included roughly 20,000 people. the last few years, it was held at Safeco field in Seattle. another good example is the annual company picnic. the event attracts 10,000 people and features free food, drink and entertainment; just the flatbed truck piled high with soda was enough to impress someone who had come from a 120 person company. this story made me think of my recent burn: "Microsoft recalls Xbox console cords Fire risk cited in recall covering 14 million machines "
I may not have been affected by this power cord issues, but I have been burned lately. I would have had to have replaced my xbox cord -- except... it was stolen. 1. I had just seen a news story about robberies. the program featured a montage of cops saying over and over again, "you need to record your serial numbers". because of this program, I had the serial numbers of the stolen items. this is key because the police recover a great deal of stolen property but they frequently have no way to place the goods. 2. the thief - possibly scared off by our alarm -- actually didn't take very much. most of the stolen items were xbox accessories. we were confused when we looked around the apartment and found items that we would expect to have been taken. for example, my wife's palm was in plain view. however, when we spoke to the police, we learned that the people who commit these smash and grab B&Es are a strange lot. there have even been cases where they have left behind cash. there were some sentimental things stolen -- that's the most frustrating part. even after the $1500 insurance claim, we can't just replace everything. the xbox taken was a 'ship gift' from MS. our team received them when i worked on microsoft content management server (mcms). it had been signed by the mcms team and the xbox.com web team. so the moral of this story is record all your serial numbers. it also helps to keep your receipts and take pictures so that you can file a straightforward insurance claim. I worked in the content management server (MCMS) development group. based on my constant exposure to web publishing applications, it has taken a long time for me to find enough justification to start a blog. my first post explains my rationale for finally taking the plunge. 2003 - continued to speak at microsoft's teched conference, in 2003 i had the privilege of presenting at the conference in Dallas Texas, Brisbane Australia, Auckland New Zealand and Sun City South Africa. 1999 - founded the mcms faq. originally started for the web publishing facility of NCompass Resolution, the FAQ has grown to include thousands of questions and answers about mcms. thanks go to Stefan Goßner for continuing the project.